It’s Monday night. I’m preparing for this week’s Dungeons and Dragons session located in my homegrown world of Aelonis. 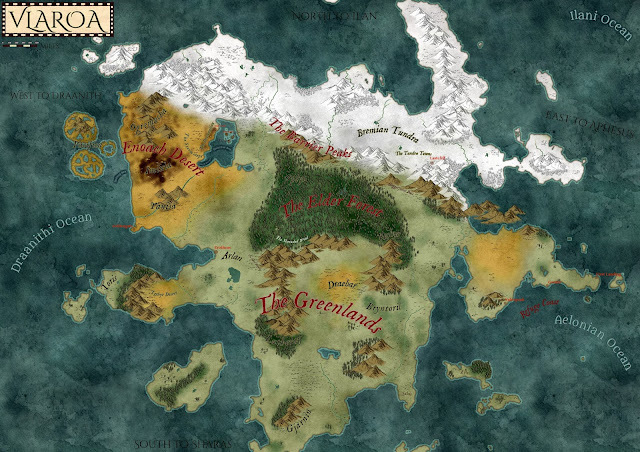 This particular campaign is based on Wizard of the Coast’s menacing adventure module, Tomb of Annihilation, and the PCs are currently on their way to my world’s equivalent to Port Nyanzaru, the great emerald city of Syroli. 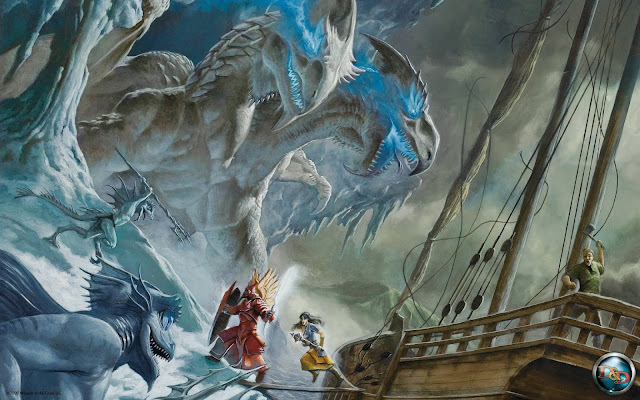 Sadly, their elemental airship was sabotaged by a sinister dragonborn and the party crash-landed on a tiny islet off the coast of the mainland named Zaza Isle. The politics and people on the island are inconsequential to the rest of the world, but vital to the party. A grung tribe lead by a zealotus queen is locked in constant combat with a tribe of vegepygmies, all while an insane, immortal, and trapped elf druid observes from an overgrown tower - and the grung hold the party’s airship crew captive. Luckily for the crew, the party is ready to assault the grung village for a second time, seeking to save the few crew members that survived the airship crash. However, they don’t know that the vegepygmy tribe is also poised to strike at the same time as the party; it’s time to prep this massive battle. In one corner are grung, tiny, humanoid frogs that the party has fought multiple times already. In another, the party and their slaad companion. In the third, the elements and wilderness of the jungle. In the fourth and final corner are vegepygmies, criminally underutilized plant people - I need to spice them up and let my players know vegepygmies are awesome and difficult to deal with. I search and search, but the only true , up-to-date resource on moldfolk I find is Volo's Guide to Monsters. I knew I needed to change that. Vegepygmies are the forgotten fungi. While myconids, the creature we discussed in last week’s Musing Over Monsters, are underused, vegepygmies are completely forgotten. 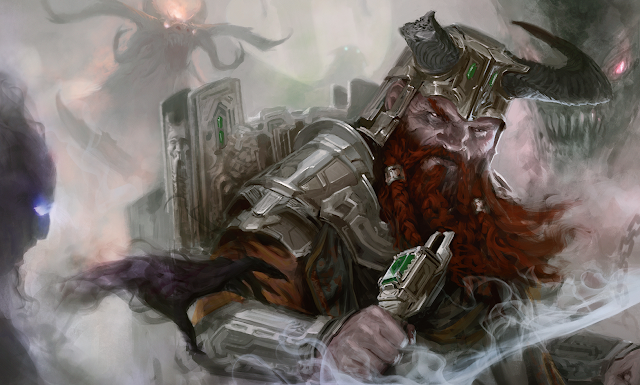 This week, we're discussing the history, lore, and many uses of these moldfolk. It's time to muse over this monster. Like myconids, vegepygmies made their debut in a splendid 1E Dungeons and Dragons adventure. Amidst alien technology and man-eating plants, vegepygmies elbowed their way into D&D via S3: Expedition to the Barrier Peaks by Gary Gygax. After that, however, vegepygmies disappeared from the spotlight for many years. 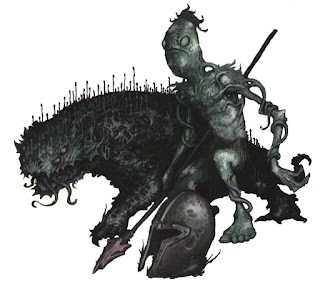 They appeared in the 2E Monstrous Manual as mold men, with vegepygmies or moldies being their derogatory name. 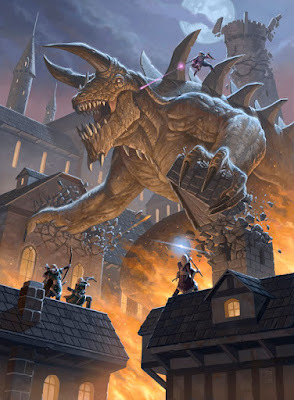 They continued to appear in all of D&D’s various editions and even play a prominent role in Pathfinder. 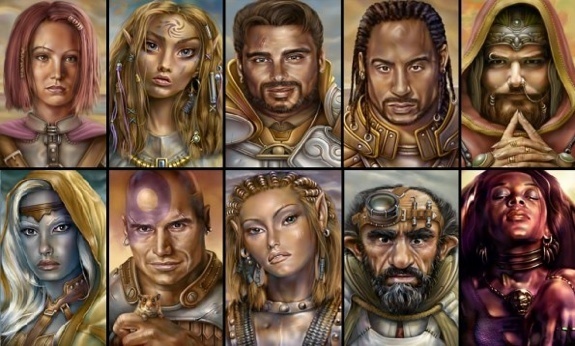 In 5E, they first appeared in Volo’s Guide to Monsters, an incredible book, proudly named vegepygmies. 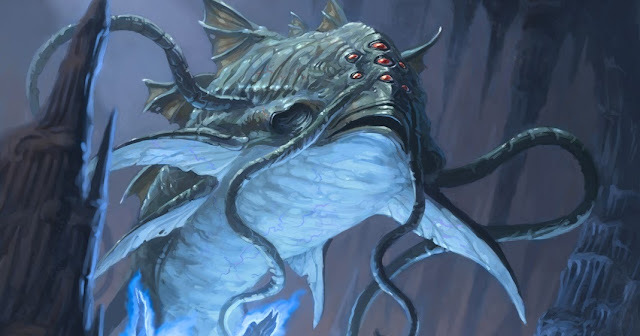 5E built on their lore a bit, cemented their awesome russet mold mechanics, and created a mechanically satisfying creature. Moldfolk are formidable foes for a low level party, thanks to their inherent regeneration, association to russet mold, and possibility to tame thornies (vegepygmy animals). We’ll talk more about their mechanical uses later; onward, to vegepygmy lore! As aptly nicknamed moldfolk, vegepygmies are walking and breathing embodiments of mold, specifically russet mold. They’re unable to speak; instead, they communicate by hissing, tapping trees, and stomping their feet. They reproduce when russet mold kills some sort of entity, whether it be a giant or a dwarf. From the mold-infested corpse, a certain amount of vegepygmies arise. If the mold kills an animal like a mammoth, velociraptor, or tiger, it rises as a moldy animal known as a thorny. The origins of this mold are often argued about, but folks know they are inherently connected to vegepygmies. Some speculate that russet mold - and vegepygmies - appeared in the ruins of a great vessel that crash landed in a mysterious mountain range named the Barrier Peaks. Others posit that the two were first found on the Material Plane after an asteroid barreled into a gloomy jungle. None know if either of these origin stories are true, but most believe the latter tale. Once vegepygmies appeared on the Material Plane, their culture developed. They live in a tribal society, with the vegepygmy with the most prominent russet mold being the ruler. They adore jungles, forests, and mushroom groves in the world below. 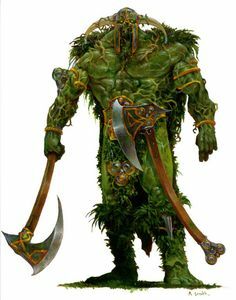 Moldfolk enjoy eating meat and blood, but are also able to absorb nutrients from plants and fungi, allowing them to easily survive without a ready supply of food. Oftentimes, they ally themselves with other plant creatures such as myconids and shambling mounds. Their primary enemies are grung and humans. They also enjoy fighting these creatures for their loot; moldfolk are unable to craft more than crude spears, but they will readily pick up the weapons and armor of humans or grung and utilize them to the best of their abilities. Honestly, vegepygmy lore is concise and interesting. It’s not as in-depth as demons, devils, or even myconids, but it’s incredibly interesting. Alright - we’ve learned all about vegepygmies and their short history across the ages. Now, let’s implement them into our worlds, campaigns, and adventures. Remember, these creatures are formidable low level foes. As Volo’s Guide to Monsters states, they have innate regeneration, multiply via dead organisms, and attack in large forces. Let’s create some cool content with them! A vegepygmy covered in blood-red mold who utilizes choking vines as whips. It rules over its tribe with ease, choking out any competitors and enemies with its living vines. The moldie is no longer complacent with its position in the small range of toxic hills it rules in the jungle and seeks more land to conquer and rule. Give the moldfolk chief multiattack, whips with 10 or 15 feet of reach, and the ability to regenerate twice the normal rate of his race. Created by a mass of vegepygmies, the Malmanous is an enormous creature that shambles throughout the jungle thicket, spreading tufts of russet mold across the region. Locals fear this mindless creature, worried that one day it will wander close to their village, destroy their crops, and kill their people. It must be killed or lured far, far away. Use the stat block of a shambling mound from the 5E Monster Manual, but give it regeneration and make its intelligence a two or three. Perhaps it’s attracted the blood of a certain animal, or the smell of a specific flower. 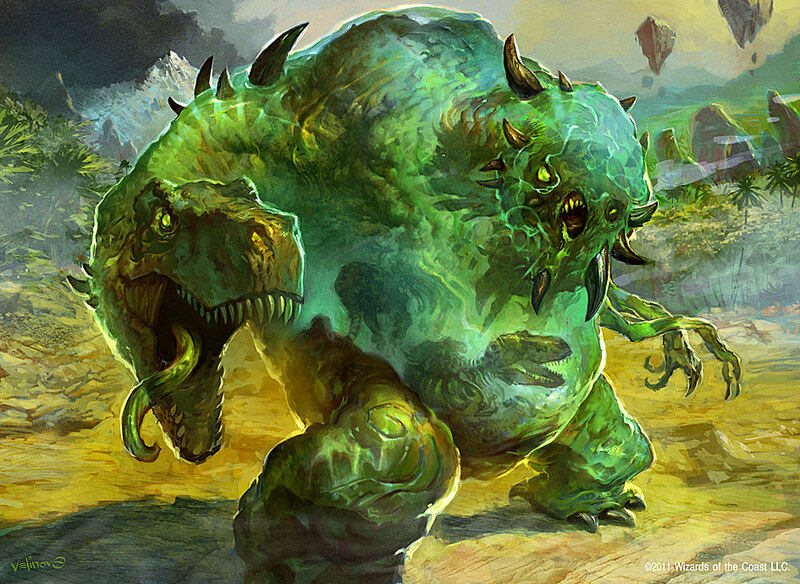 After a tyrannosaurus accidently consumed a vegepygmy chief, it became infected with russet mold disease and died. 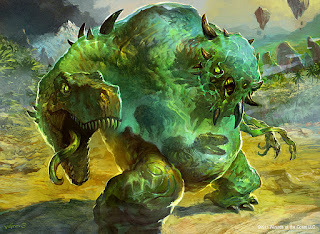 Now, the dinosaur roams the jungle as a massive thorny, destroying and infecting all in its path. Two allied tribes have managed to combine forces and tame the tyrannosaurus thorny. Truly, what can halt their war path? Give the tyrannosaurus regeneration and the ability to spread russet mold when it roars. That’s a powerful creature. A flask filled with russet mold that refills once a week. A silver scimitar covered in russet mold that has a chance to infect those it cuts with the terrible disease. A whip made from a living choking vine that must be embedded into your skin to be used; this process pleases the living plant as it slowly drains your blood and has the chance to choke out plenty of others while you wield it. A mask made from vines and mold that has the chance to infect you with russet mold disease when you wear it, but allows you to shapechange into a vegepygmy once every long rest. Two vegepygmy tribes have infected and tamed a herd of once peaceful and grazing dinosaurs. They’re now thornies - powerful puppets of the vegepygmies - and marching on the nearest village. Can the village be saved? A vegepygmy tribe stole an ancient totem of a local human village and took it to their underground lair. Reclaiming it seems simple, but it sits at the bottom of a massive cavern of twisting passageways infected with russet mold. How can it be recovered? An asteroid recently crashed into a nearby jungle, bringing with it a highly-intelligent and evolved variety of vegepygmy. They’re armed with magical weapons blessed with russet mold, enormous, alien creatures covered in it, and are ready to take on the nearby kingdom. How do you stop an alien invasion of smart creatures that spread like zombies? For a campaign surrounding vegepygmies and russet mold, I’d combine all the plot hooks I just provided. Here’s an example concept: Three months ago locals spotted an enormous star fall from the sky and land somewhere hundreds of miles from their small town. 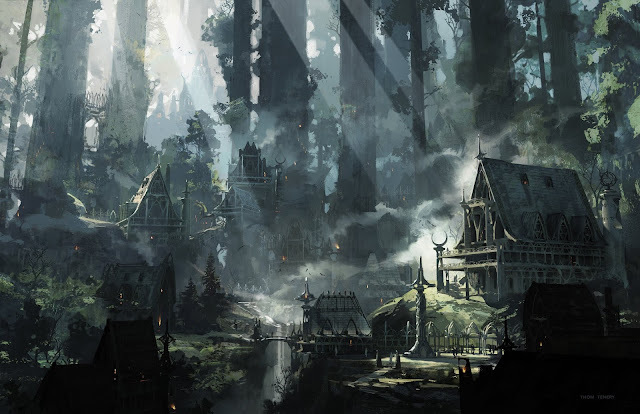 They alerted the local guard, who told the monarchs, who consulted their mages and deemed the event unworthy of further investigation due to a conflict with a powerful orc tribe. Now, strange creatures are emerging from the nearby forest, similar to the vegepygmies that lived within it before, but larger and armed with mystical weapons. However, they’re not attacking anyone. Instead, farmers and herders are finding their crops and livestock infected with a strange strand of russet mold. It cannot be destroyed with acid or killed with necrotic fertilizers. The mold is spreading - quickly - and now the monarchs are worried about the rock that landed not too far from their country. They have sent out a call for adventurers to delve into the jungle and learn about these new vegepygmies or find a way to kill the rapidly spreading mold. They first appeared in Expedition to the Barrier Peaks and were rarely touched on or updated after that. Vegepygmies are physical, living and breathing embodiments of russet mold. They can regenerate and emerge from corpses of those affected by russet mold. Building foul NPCs, jungle romps, and low-level campaigns is easy using vegepygmies. Be careful, though, for these monsters are incredibly powerful. Next week, we’re returning to Legendary Lessons. The title? Voices in My Head. I’ll keep it cryptic. 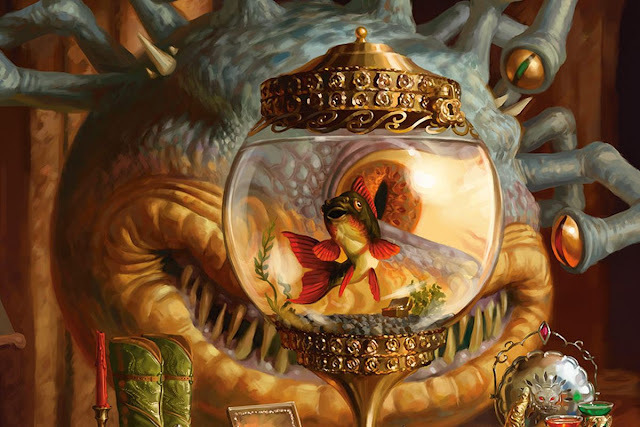 If you’re a Dungeon Master, Player, or simple reader, you’ll adore it, I assure you. Until next time, fare thee well!